1. Product manager or product owner: What’s the difference? There is still a lot of confusion around the differences between these two roles. This is probably due to the fact that they tend to overlap or pick up where the last one left off. Regardless, being able to distinguish between these two terms and how each of them impact progress at various stages is crucial to successful agile planning. Making this distinction will therefore require you to critically assess the established steps and all the other moving parts within your product development process. As a product manager, managing stakeholders is about more than just getting everyone on the same page and keeping them informed, it is about being able to carefully manage their expectations in a rapidly shifting and turbulent marketplace. Adopting an agile framework will help you remain nimble and drive you to stay one step ahead- but at the end of the day being able to predict and handle changing stakeholder demands in a reactive fashion is what will minimize those “firefighting” activities. Easier said then done, right? On the contrary, It can be accomplished, if you have the proper agile planning procedures in place. As they explain in this article, “the beauty of Agile is how changes in product development direction can be easily accommodated by re-prioritizing the product backlog for the next iteration.” Here at OneDesk, we believe that it is imperative to obtain your customers feedback during not only the early stages of product development but also continuously throughout the stages of development. This ensures you are constantly building out your product requirements in the same direction as your market’s needs. Adopting an agile framework will allow you that flexibility to closely and frequently integrate your customers valuable insights and suggestions- every step of the way. 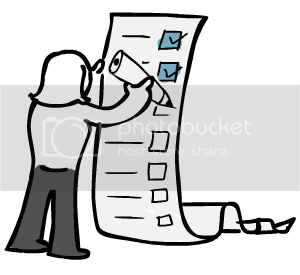 Click here to read over the entire checklist (page 16). Do you have experience implementing an agile framework in your own organization? What advice do you have for individuals and teams facing obstacles in the agile planning stages? Share your thoughts with our readers below.